Though written by a confirmed waitress-devotee (Elder) and a former waitress-turned-editor (Rolens), there is little material here to flesh out a book. 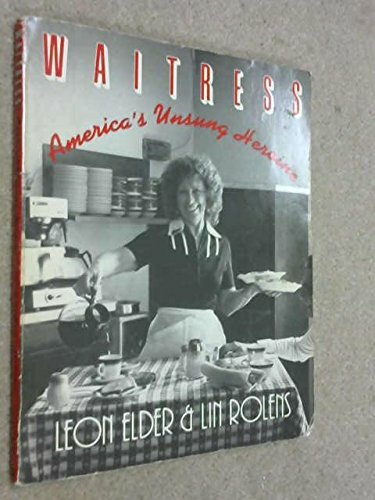 The 15 chapters (though some are too slim to qualify as such) generally are based on Terkel-like transcribed interviews and fall into three broad types: life story or part of it; philosophy of life; funny, sad, or awful incidents as a waitress. The problem arises from the repetition after reading a number of entries. The 150 photos, most by Elder, are undistinguished. Rebecca Sturm, Northern Kentucky Univ. Lib., Highland Heights<br />Copyright 1985 Reed Business Information, Inc.